Men's Sterling Silver Chain Necklace : LOVE2HAVE in the UK! 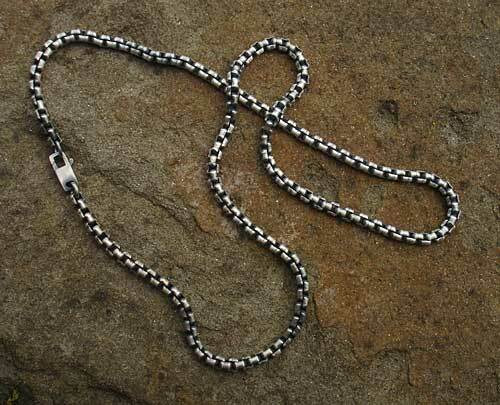 This piece is a men's sterling silver chain necklace with its Belcher link design and clasp. 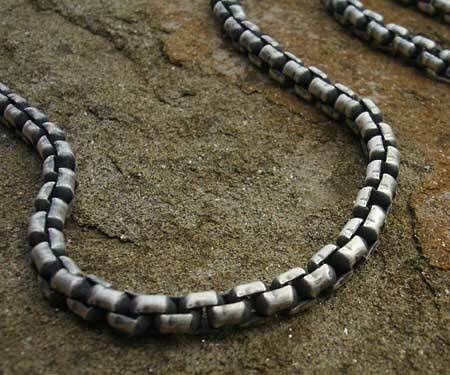 The links are tightly joined to one another to give it an almost snake chain quality to the design style. It comes made from solid sterling silver and each link measure 4mm in length. The finishes available are polished or matt. The matt is pictured here, and each link features some oxidisation which gives this necklace a lovely urban feel. The total weight is 33g and its length 18 inches.